Escape the urban bustle at Scuba & Snorkeling and Petite Anse Kerlan. Discover out-of-the-way places like Anse Volbert and Rita's Art Sudio & Gallery. There's much more to do: head off the coast to Sisters Islands Private, delve into the lush surroundings at Vallee de Mai Nature Reserve, kick back and relax at Anse Lazio, and tour the pleasant surroundings at Anse Georgette. For maps, traveler tips, and tourist information, refer to the Praslin Island itinerary builder. New York City, USA to Praslin Island is an approximately 30-hour flight. Traveling from New York City to Praslin Island, you'll lose 9 hours due to the time zone difference. 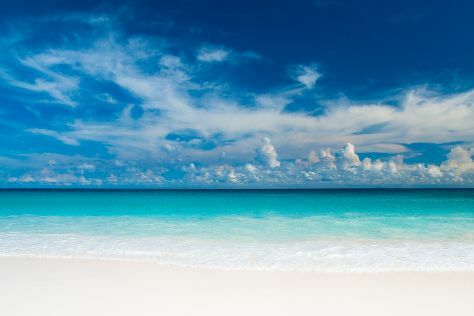 In August, daily temperatures in Praslin Island can reach 84°F, while at night they dip to 76°F. Wrap up your sightseeing on the 6th (Sun) to allow time to ride a ferry to La Digue Island. Escape the urban bustle at Spiagge di Anse Marron and Coco Island. Eschew the tourist crowds and head to Petite Anse and Anse Severe. Next up on the itinerary: kick back and relax at Anse Coco Beach and stroll through Grand Anse. For photos, more things to do, maps, and more tourist information, read La Digue Island tour planner. La Digue Island is just a short distance from Praslin Island. In August, plan for daily highs up to 84°F, and evening lows to 76°F. Cap off your sightseeing on the 10th (Thu) early enough to travel to Le Morne. 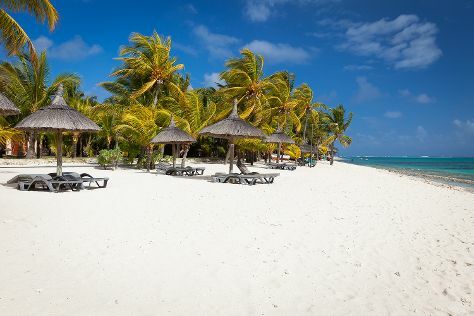 Get in touch with nature at Le Morne Brabant and Le Morne Beach. Explore hidden gems such as Stand-Up Paddleboarding and Village Walk Shopping Centre. Change things up with these side-trips from Le Morne: Scuba & Snorkeling (in Trou aux Biches), Flic en Flac Beach (in Flic En Flac) and Mont Choisy Beach (in Mont Choisy). Next up on the itinerary: admire the sheer force of Chamarel Waterfall. For maps, reviews, where to stay, and tourist information, go to the Le Morne travel planner. The Route module can help you plan travel from La Digue Island to Le Morne. In August, Le Morne is little chillier than La Digue Island - with highs of 76°F and lows of 67°F. Cap off your sightseeing on the 14th (Mon) early enough to travel to Plettenberg Bay. Step out of the city life by going to Jukani Wildlife Sanctuary and Garden Route (Tsitsikamma, Knysna, Wilderness) National Park. 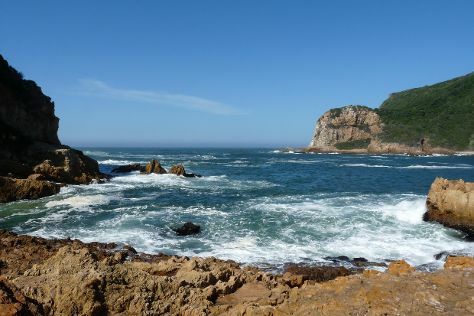 Take a break from Plettenberg Bay with a short trip to Knysna Heads in Knysna, about 34 minutes away. Next up on the itinerary: identify plant and animal life at Tenikwa Wildlife Awareness Centre. To find maps, other places to visit, traveler tips, and other tourist information, you can read our Plettenberg Bay trip itinerary builder. The Route module can help you plan travel from Le Morne to Plettenberg Bay. The time zone difference when traveling from Le Morne to Plettenberg Bay is minus 2 hours. Prepare for little chillier weather when traveling from Le Morne in August: high temperatures in Plettenberg Bay hover around 67°F and lows are around 52°F. Finish up your sightseeing early on the 18th (Fri) so you can travel to Sharm El Sheikh. Eschew the tourist crowds and head to Ras Um Sid and El Fanar. Get outdoors at Coral Reefs and Shark's Bay Beach. 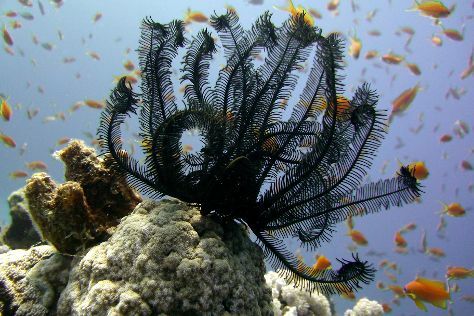 Take a break from Sharm El Sheikh with a short trip to Blue Hole in Dahab, about 1h 45 min away. And it doesn't end there: take in the spiritual surroundings of Coptic Church, find something for the whole family at Aqua Blue Water Park, ponder the design of Musical Fountain Sharm el-Sheikh, and enjoy some friendly competition at Bowling at Soho Square. To find ratings, traveler tips, photos, and tourist information, read our Sharm El Sheikh trip planner. Use the Route module to find suitable travel options from Plettenberg Bay to Sharm El Sheikh. In August, Sharm El Sheikh is warmer than Plettenberg Bay - with highs of 101°F and lows of 85°F. Finish your sightseeing early on the 22nd (Tue) so you can travel to Hurghada. Step out of the city life by going to Careless Reef and Swim with Dolphins. You'll explore the less-touristy side of things at Omo Gamaar and Mosque El Mina Masjid. The adventure continues: head off the coast to Giftun Islands and take in the waterfront activity at Hurghada Marina. To find ratings, other places to visit, and more tourist information, go to the Hurghada travel itinerary creator. Getting from Sharm El Sheikh to Hurghada by combination of flight and bus takes about 1.5 hours. Other options: drive. In August in Hurghada, expect temperatures between 101°F during the day and 82°F at night. 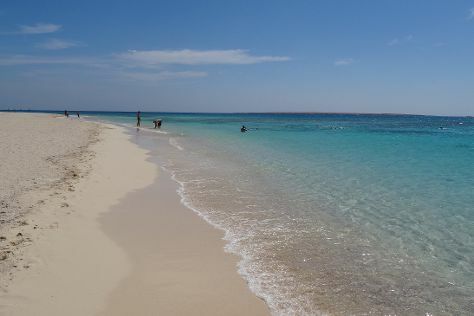 Wrap up your sightseeing on the 27th (Sun) to allow time to drive to Marsa Alam. Step off the beaten path and head to Shark Diving and Elphinstone Reef. Escape the urban bustle at Sharm El Luli and Dolphin House Reef (Sha'ab Samadai). Spend the 29th (Tue) among aquatic life with a scuba or snorkeling tour. There's still lots to do: kick back and relax at Marsa Mubarak. To find maps, other places to visit, traveler tips, and tourist information, read Marsa Alam travel planner. You can drive from Hurghada to Marsa Alam in 4 hours. Alternatively, you can do a combination of flight and taxi; or take a bus. When traveling from Hurghada in August, plan for a bit cooler days in Marsa Alam, with highs around 96°F, while nights are about the same with lows around 84°F. Finish your sightseeing early on the 30th (Wed) so you can travel back home.